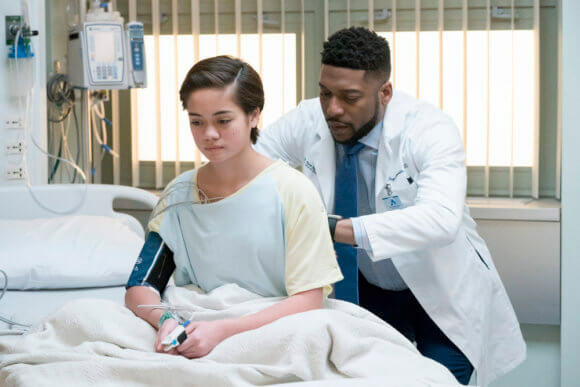 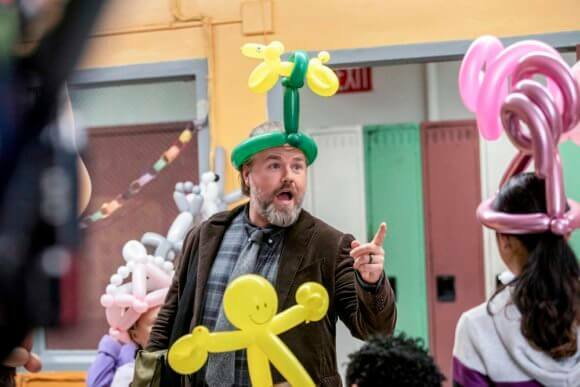 NBC’s medical drama New Amsterdam continues season one with episode 18 titled “Five Miles West.” Episode 18 is set to air on April 16, 2019 and features guest stars Dierdre Friel and Lilly Knowles. 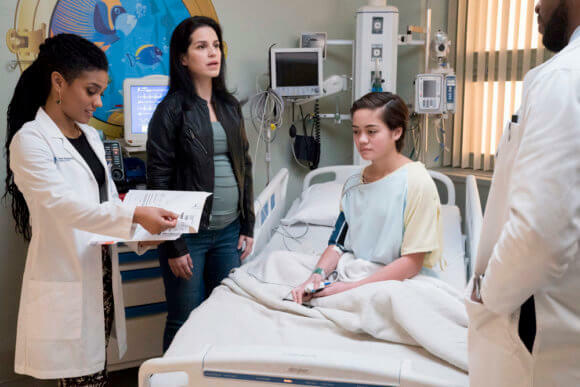 The “Five Miles West” Plot – Reynolds (Sims) struggles to help a young Cystic Fibrosis patient (Knowles) with curious symptoms while Kapoor (Kher) finally comes face to face with Ella (Friel) after their awkward encounter. 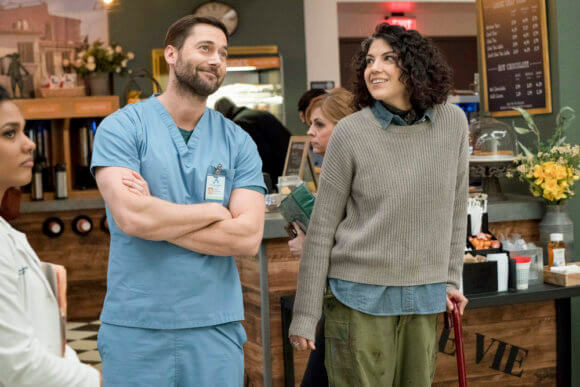 Meanwhile, Sharpe (Agyeman) takes a major step in her personal life.